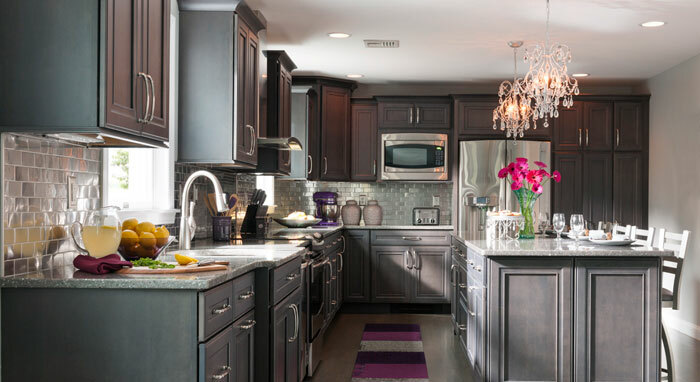 Looking for a remodeled kitchen that fuses the coziest comfort with fashionable style, the McCarthy’s tore down walls to expand their room into a spacious heart of the home. 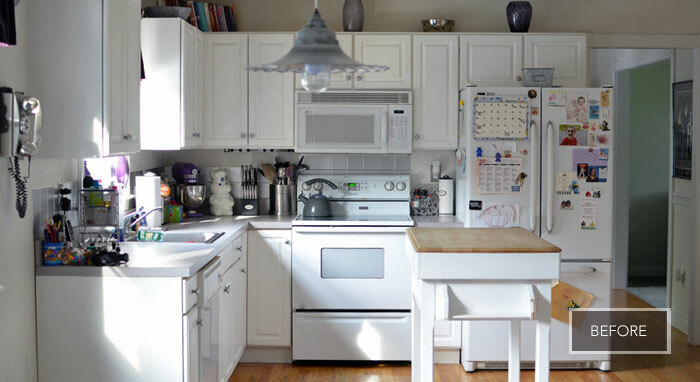 With two kids, the new kitchen required enhanced simplicity, durability and versatility. 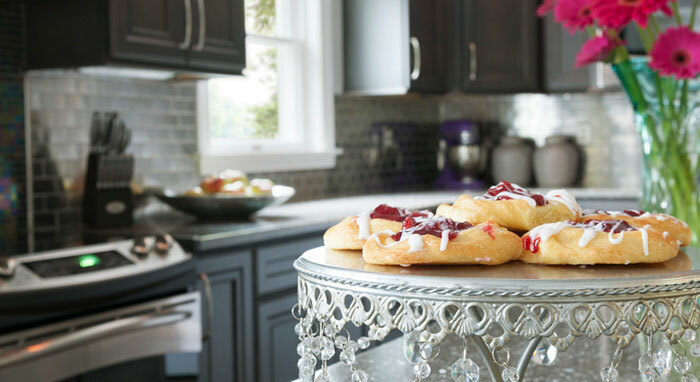 For example, the statement piece—an impressive 10-foot island—serves multi-functional objectives: as a buffet when entertaining parties and as a highway for every day Hot Wheels car racing. 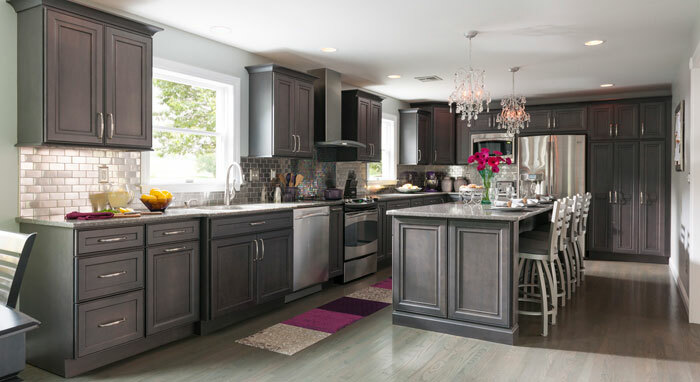 Leyden maple cabinets in a dark grey Cobblestone stain deliver as the foundation for this elegant and gracefully modern kitchen, highlighted nicely by a light, sparkling backsplash. 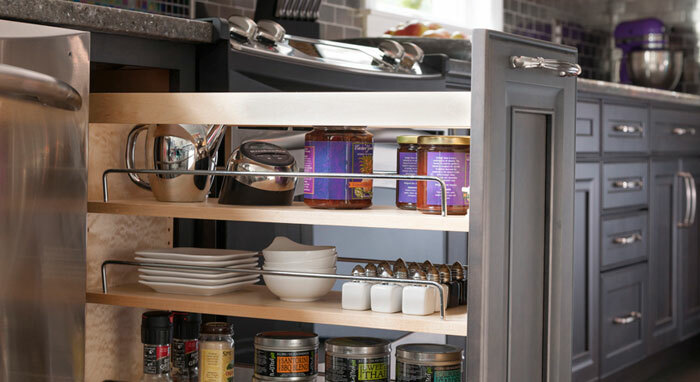 Decorá Cabinetry designer Trish Salvato delivered on stunning, contemporary style, while contributing ample space for storage, improved room for preparation and a flow that offers ease-of-use, making any meal in the kitchen both a joy and a breeze to cook. 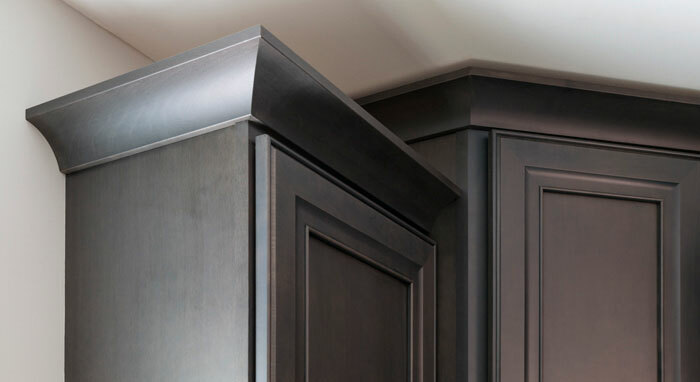 The McCarthy’s new kitchen is a place to eat, laugh and commune in the midst of beautiful, timeless cabinetry design.